In July 2015 the community of Villierstown, Co. Waterford will celebrated the 800 year anniversary of their local medieval manor of Dromana. The present owners of Dromana, the Villiers Stuart family, are descended from an early thirteenth century administrator, Thomas Fitz Anthony who was granted the land around Dromana in July 1215. This article gives a interim examination of his life. Thomas Fitz Anthony first appears in the official historical records in February 1207 when he was sent with gold and silver from Ireland to King John in England. His origins are, as yet, unknown and his name has not yet been found on any document prior to 1207. Fitz Anthony must have had some standing in the Irish colony by 1207 to be charged with bringing the king’s treasure out of the country. The other two persons bringing the treasure were Bartholomew de Camera and Walter de Abbetot. Bartholomew de Camera is elsewhere referred to as the king’s clerk and had custody of church lands in County Dublin. After delivering the king’s treasure Bartholomew de Camera was given land in County Cork which formerly belonged to Fulk de Cantilupe. Bartholomew de Camera continued to deliver further shipments of treasure in 1207 and in 1214 was made rector of Dungarvan Co. Waterford. In 1220 de Camera was a justice itinerant in Ireland. Walter de Abbetot appears less frequently in the records compared to Bartholomew de Camera. The treasure shipment in February 1207 is his first historical record. On 2nd July 1215 Walter de Abbetot was granted the serjeantry of Munster (covering the modern Counties of Limerick and Tipperary). Later he forfeited the serjeantry for an unknown reason. Walter de Abbetot was a nephew of Philip de Worcester. As for the relations of Thomas Fitz Anthony we have no record. His name, Thomas son of Anthony, would suggest that his father was called Anthony. The Anthony name is very rare in medieval documents. Yet elsewhere a person called Thomas Fitz Anthony de St. Leger was witness to a grant of land in Fernegenel between 1215 and 1221 by Gerald de Rupe. This Gerald de Rupe was a son-in-law of our Thomas Fitz Anthony and thus the St. Leger family name seems reasonable. It is not known if Thomas Fitz Anthony was the first of his family to live in Ireland or if he succeeded his father. By around 1200 Thomas Fitz Anthony held lands in the lordship of Leinster (owned by William Marshal), mostly in the area of modern County Kilkenny and centred on the cantred of Ogenty. These lands were possibly acquired after 1192 when William Marshal took control of his wife’s Irish estates. C.A. Empey suggested that Thomas Fitz Anthony was among the household knights of William Marshal. In 1210 we learn that Fitz Anthony held a wood between Newbridge and Kilkenny in the south of the county. King John stopped near the wood on his way from Waterford to Kilkenny. The town of Thomastown in the centre of Ogenty was named after Thomas Fitz Anthony. In Gaelic the town is known as Baile Mhic Anndain or the town of Fitz Anthony. The town used to be called Grenagh when Thomas Fitz Anthony granted charters of liberties to the town. The later town of Thomas became an important economic centre for the south Kilkenny region. This was because it was situated at the head of the navigation on the River Nore. Thomastown was the port town for Kilkenny city, twelve miles further up the River Nore. The descendants of Fitz Anthony held land around Thomastown into the fourteenth century. In addition to Thomastown, Thomas Fitz Anthony held further lands around Inistioge and Kilmacow from William Marshal. In around 1206 Fitz Anthony founded the Augustinian priory of St. Columba at Inistioge. The priory of Kells in Ossory sent the first canons to the new priory. After 1206 Thomas Fitz Anthony gave unspecified grants of property to Kells priory including the period when he was Seneschal of Leinster. Kells priory in County Kilkenny was founded by Geoffrey Fitz Robert around 1193 but Geoffrey had earlier in 1183 founded a small collegiate church on the site. Thomas Fitz Anthony was witness along with Meiler Fitz Henry (later justiciar of Ireland) to an early charter to Kells priory by Fitz Robert. Geoffrey Fitz Robert was Seneschal of Leinster between c.1204 and 1208. Between 1207 and 1213 Thomas Fitz Anthony was one of the witnesses to a grant by William Marshal of the land around Rathdowney to Adam de Hereford. There is in the Ormond deeds a more interesting document that was also witnessed by Thomas Fitz Anthony. Edmund Curtis gave the document a date of around 1290. Many early medieval documents didn’t give a calendar date and their date has to be guest at by establishing the life dates of the people named in the document. This suggested c.1290 was a grant by Robert Tysun to Ralph de Ely of land at Dunhod. Canon William Carrigan gave Dunhod as equating to Donaghmore in the parish of St. Patrick in the Barony of Shillelogher, County Kilkenny. The witnesses were Thomas Fitz Anthony, Walter Purcell, Hugh his son, Baldwin de Bethun, John Travers, William de Gernet, Gervase le Mercer and five others. Baldwin de Bethun was count of Aumale in right of his wife and died in 1212. He held extensive lands in England and France but no recognised property in Ireland. His teenage daughter was married to William Marshal the younger. The life dates of the other people mentioned have not been determined including that of Robert Tysun and Ralph de Ely but the document is certainly pre 1212 and possibly earlier. In about 1212 Thomas Fitz Anthony signed a declaration of support by the magnates of Ireland for King John against the Archbishop of Canterbury. In 1205 the Archbishop of Canterbury died and King John wished to have his friend, John de Gray, Bishop of Norwich, to be the new archbishop. The cathedral chapter at Canterbury reserved their right to elect and picked Reginald, the sub-prior. Both candidates appealed to Pope Innocent in Rome. The pope rejected both and consecrated Stephen Langton as archbishop. King John was incensed and refused Langton entry into England and seized the archbishop’s estates. In 1208 Pope Innocent placed England under interdict which stopped all ecclesiastical services except baptism for the young, confession and absolution for the dying. King John refused to give way and in November 1209 he was excommunicated by the pope. The situation contributed to the signing of Magna Carta in 1215 and the invasion of England by Prince Louis of France. The whole business was not settled until after the death of King John in October 1216. By 1215 Thomas Fitz Anthony was serving as seneschal of the lordship of Leinster. The large lordship of Leinster covered the modern counties of Wexford, Kilkenny, Carlow, Kildare and Laois. This area covered much of the former kingdom of Leinster. Richard “Strongbow” de Clare had got this lordship from Dermot Mac Murrough via his daughter Eva. The Marshal family inherited the lordship via Richard’s only daughter. Thomas Fitz Anthony held the position of seneschal until at least 1223. On 3rd July 1215 Thomas Fitz Anthony secured a hereditary grant of all the royal lands in the Counties of Waterford (except the city of Waterford) and Desmond (Cork) along with the custody of Waterford castle, Dungarvan castle and the castle and city of Cork and custody of the escheat lands in those places. The grant to Fitz Anthony was a reward for his support given to King John who was fighting rebel barons in England at the time. Fitz Anthony’s feudal lord, William Marshal was one of the chief commanders of the royalist army. For this substantial grant Thomas Fitz Anthony was to pay a yearly rent to the crown of 250 marks (he paid an upfront fine of 100 marks in July 1215). In addition, Fitz Anthony was given the office of hereditary sheriff of both counties, the only such creation in Ireland. To increase his income Fitz Anthony also got half the prisage on wine in Waterford city where he was the constable. Thomas Fitz Anthony needed this and other revenues because the cost of defending and maintaining the castles across the two counties fell to him to pay for. The following day (4th July 1215) Thomas Fitz Anthony further advanced his position in society when he was given the custody of the lands and heirs of Thomas Fitz Maurice of Shanid for a fine of 600 marks payable within six years. Later in 1215 Thomas Fitz Anthony paid £400 for custody for the Fitz Maurice lands. The administration of Thomas Fitz Anthony appears to have been a good one. Apart from maintaining and strengthening the area under Anglo-Norman rule Thomas Fitz Anthony expanded the area under Anglo-Norman rule further west along the Cork coast. Yet there were some complaints about his conduct. In 1226 the Prior of Cork informed the king that Thomas Fitz Anthony had deprived the prior of a mill and 2 burgages in Cork which the prior had by gift of King John when he was Earl of Morton. 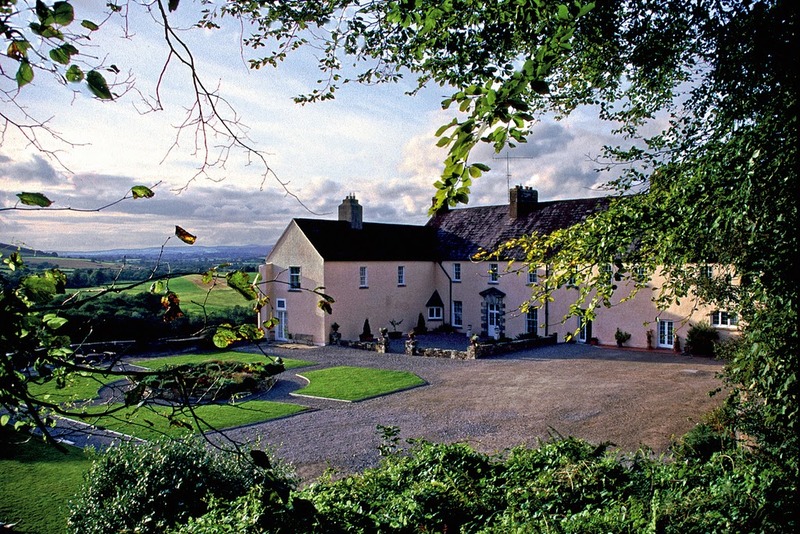 The prior alleged that Fitz Anthony had exceeded his lease of County Cork by taking the prior’s property. King Henry III instructed the justiciar in August 1226 to investigate the matter and give judgement in the case. The result of the case is unknown. Yet other documents show that Fitz Anthony was trusted by the king and his advisers to administer the two counties. In April 1218 Thomas Fitz Anthony received a royal mandate not to permit the men of Waterford, or others, to impede Godfrey de Camville and other English barons from exporting wheat from their lands within the bailiwick of Fitz Anthony to their estates in England. Later in July 1218 King Henry III desired that a wall be built around Cork city. Thomas Fitz Anthony was given the fee farm grant of Cork city for three years to help pay for the wall. During the time that Thomas Fitz Anthony held the Counties of Decies and Desmond; he was also seneschal of the vast lordship of Leinster. Fitz Anthony did not neglect his duties in Leinster. Around 1218 Fitz Anthony was among the witnesses to a grant of the church of Kilcormac to the priory of Inistioge by Stephen Archdeacon, his son-in-law. In the summer of 1218 Thomas Fitz Anthony was dragged into the on-going battle between the Bishops of Lismore and Waterford. In August the Bishop of Waterford told the king that Fitz Anthony along with Geoffrey de Marisco, Justiciar of Ireland, and Griffin Fitz Griffith had unjustly seized the manors of Lismore, Ardmore, Ardfinnan and other property from the said bishop. But these manors were the property of the Bishop of Lismore. By such false accusation the Bishop of Waterford hoped to secure a royal grant of these properties contrary to the true situation. It is highly unlikely that Thomas Fitz Anthony seized any property without just cause. The Bishopric of Lismore was vacant at that time and Fitz Anthony had acquired the temporalities of the see as was the duty of royal officials during an episcopal vacancy. The bad feeling of the Bishop of Waterford towards Thomas Fitz Anthony carried the latter’s name into the unfavourable review of later historians. It is said in some accounts that Thomas Fitz Anthony resisted the further migration of English settlers into Ireland. When English barons tried to increase the number of English settlers on their Irish estates Fitz Anthony objected and resisted their efforts. A possible source of this bad press is a mandate issued to Thomas Fitz Anthony in July 1219 not to impede the Bishop of Waterford from farming his land and receiving English settlers onto the properties. The Justiciar of Ireland was mandated to insure that Fitz Anthony be kept out of the bishop’s affairs. On 17th July 1221 Thomas Fitz Anthony received a letter from Henry III that he was to be respondent to Henry, Archbishop of Dublin, as the new Justiciar of Ireland following the removal of Geoffrey de Marisco. Similar letters were sent to six Irish kings and seventeen Anglo-Norman lords. Geoffrey de Marisco had paid no revenues for the royal lands, rents and escheats of Ireland to the English exchequer since the days of King John. In January 1222 Thomas Fitz Anthony was granted the temporalities of the dioceses of Ardfert and Killaloe after their bishops had been deposed by the papal legate. Another document from June 1222 suggests that Thomas Fitz Adam had received custody of the two dioceses. Thomas Fitz Adam was a different person to Thomas Fitz Anthony even though their names are similar. In July 1222 Archbishop Henry of Dublin, Justiciar of Ireland, was instructed to restore the temporalities of the Diocese of Killaloe to John, Bishop of Killaloe once the latter had returned from Rome. The Bishop of Ardfert was back in his diocese by May 1223 and possibly earlier than that date. Relations between Thomas Fitz Anthony and the regency council of King Henry III entered a cooler period in 1223. In June 1223 Thomas Fitz Anthony was ordered to appear at court to show by what charters he held the escheat lands in Counties Waterford and Desmond and within the city of Cork. It was suggested that Fitz Anthony was withholding money due to the crown. Fitz Anthony failed to show up and on 3rd June 1223 he was stripped of his lands in Ireland. These were given to John Marshal (died 1235), the marshal of Ireland. At a later date the Counties of Decies and Desmond were given to Richard de Burgh. Many people in the Counties of Waterford and Desmond were sad to see Thomas Fitz Anthony leave office. A citizen of Waterford, William Sweetman, petitioned the king to exonerate Fitz Anthony from official misconduct. During his administration Thomas Fitz Anthony had acquired enemies who sought opportunity to remove an efficient official. Thomas Fitz Adam wrote in 1219 on a different matter that London officials should ‘not believe all that is told you from Ireland’. It was possibly shortly thereafter that Thomas Fitz Anthony lost his job of seneschal of Leinster. He was still seneschal in April 1223 when he witnessed a charter to the burgesses of Kilkenny by William Marshal the younger. William Crassus was Seneschal of Leinster in 1224-1226. Sometime after June 1223 the rent of 250 marks from the Counties of Decies (Waterford) and Desmond (Cork) was assigned to Richard de Burgh for his maintenance. Thomas Fitz Anthony lodged an appeal and by May 1225 had recovered his lands in the province of Munster. After the restoration Thomas Fitz Anthony was instructed to continue to pay Richard de Burgh the 250 marks instead of paying the crown that amount. The manor of Chapel Izard, County Dublin, was granted to Richard de Burgh in May 1225 and the value of this manor was to be allowed in the payment of the 250 marks. But Richard de Burgh did not receive the full 250 marks. He complained that the land of Decies and Desmond was so alienated and severed by Fitz Anthony that it was insufficient to generate the full income due. On 6th August 1227 King Henry instructed the Justiciar of Ireland to take into the king’s hand and deliver to Richard de Burgh all the lands alienated by Fitz Anthony. Many of these alienated lands had been given to friends and relations of Thomas Fitz Anthony. John Devereux and William Walensis were two such recipients of alienated land. During the 1230s much of the land seized from Devereux and Walensis was restored to them. Thomas Fitz Anthony died sometime between 19th August 1226 and 27th April 1227. On 20th July 1229 Richard de Burgh was instructed to take the lands of Fitz Anthony into the king’s hand. Following consultation with Godfrey de Turville, Archbishop of Dublin and Richard Duket, de Burgh was to let out the land at the best rents possible. It appears that Thomas Fitz Anthony was twice married; firstly to a woman called Emma and secondly to a woman called Ilonda. It is not clear which woman had the five daughters left by Thomas Fitz Anthony at his death. Fitz Anthony’s only son, Hamo Fitz Thomas predeceased his father and died without children. The five daughters and their husbands were: Dionysia married to William de Canteloup; Helen married to Gerald de Rupe; Isabella married to Geoffrey de Norragh; Margery married to John Fitz Thomas Fitzgerald and Desiderata married to Stephen Archdeacon. The estates of Thomas Fitz Anthony were divided among his five daughters. By 1260 much of the land of Thomas Fitz Anthony had come into the possession of his son-in-law, John Fitz Thomas Fitzgerald of Shanid (died 1261). It is hoped to write a future article about the heirs of Fitz Anthony and the property they received from their father. 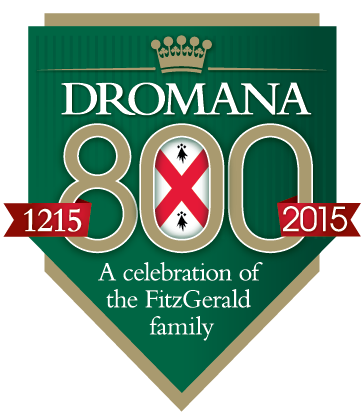 Have a look at https://www.facebook.com/dromana800?fref=ts = a celebration of 800 years at Dromana, Co. Waterford by the successors of Thomas Fitz Anthony.